Rich soil and a mild climate are the perfect mixture for a variety of crops! That’s why “Dine at the Source” is a way of life in Pacific County. 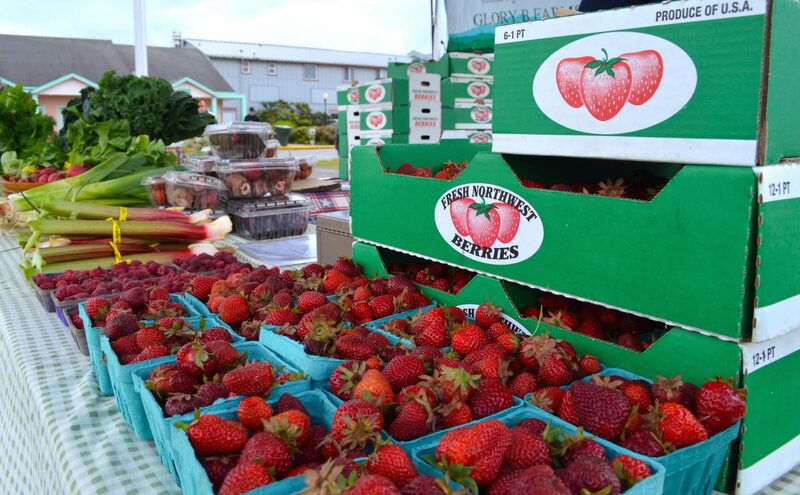 You can pick up fresh food at our markets during the summer from local vendors or visit our grocery stores anytime of year for a selection of fresh, local products. 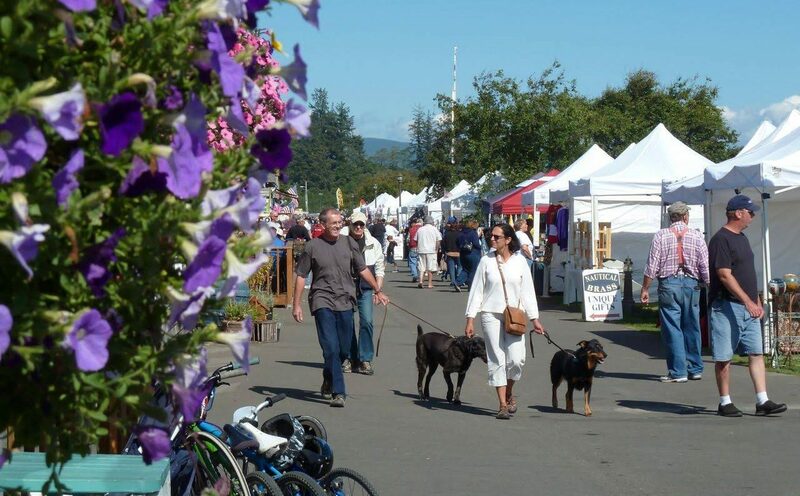 Dozens of vendors line the pedestrian only walkway along the Port of Ilwaco in the summer. Find delicious fresh produce and work by local artisans! Each Friday in summer, vendors and artisans gather in Veteran’s Field in downtown Long Beach. Hang out and enjoy live music, treats, and family fun! Pacific County is perhaps best known for its oyster and cranberry farms. Learn more about these delicious, local crops below! Cranberry harvest. Photo by Damian Mulinix. Many visitors are surprised to learn that America’s native fruit, the cranberry, is grown locally in great quantity. In fact, approximately one-third of the nation’s cranberry crop is produced in Washington State. Most of the berries grown on the Peninsula are destined for juice, due to the weather conditions of the area bringing out the valued red color. 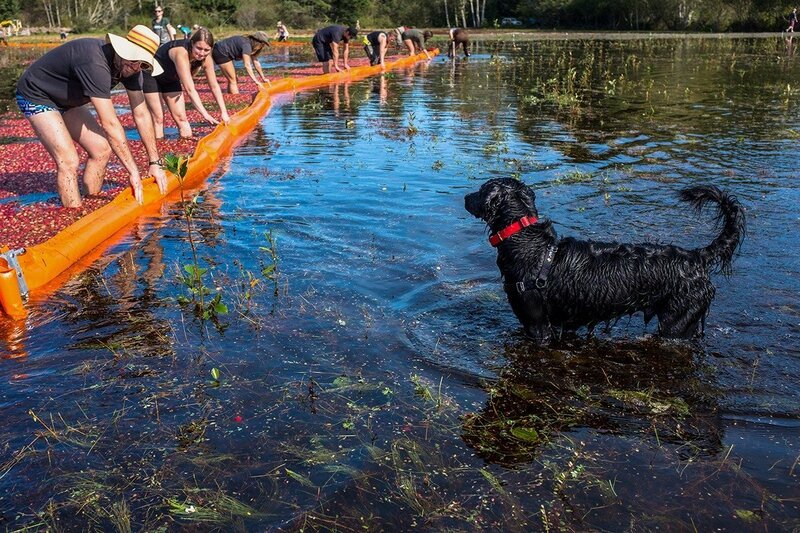 These berries are harvested in flooded bogs. Watch the harves, each October at the WSU Cranberry Demonstration Farm. 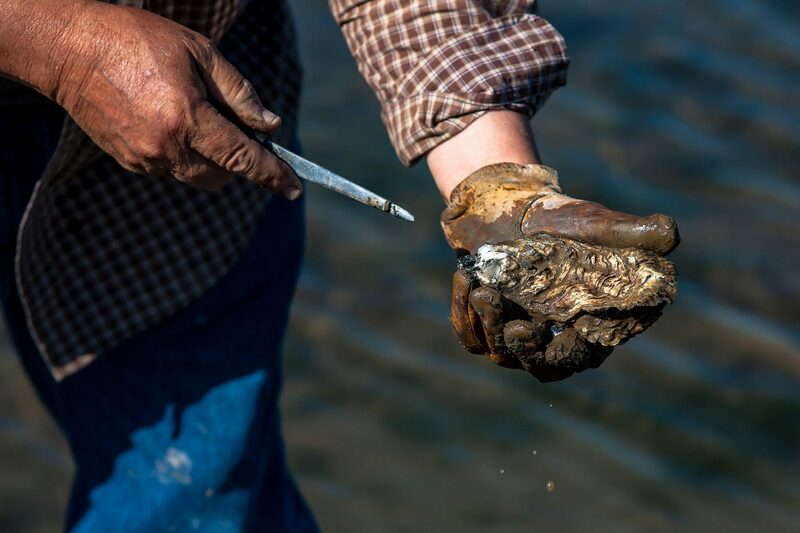 Shucking a fresh oyster. Photo by Damian Mulinix. One in every four oysters consumed in the United States comes from Willapa Bay, a pristine estuary that is part of life in Pacific County. Pick up a bag of fresh oysters for your culinary creations. Smoked oysters, like these from Ekone Bay, make terrific gifts to bring back from your Pacific County adventure. For an unforgettable experience, visit the Goose Point Oystery where you can buy oysters and grill them on their deck overlooking the Willapa. 1.5 acre nursery and garden store. Farm feed. Hay. Dog, cat & horse supply. Open Year-round. Open April-Dec. See cranberry harvest 2nd weekend in October. Self-guided walking tours., Open April-Dec. See cranberry harvest 2nd weekend in October. Self-guided walking tours.